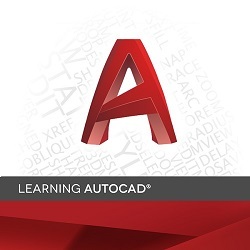 Learning AutoCAD is a blended course for use in an instructor-led classroom setting or for the student who prefers a self-paced learning experience. The primary objective of this course is to provide the student with a fundamental knowledge of AutoCAD. This course is separated into 9 chapters covering key areas of drafting and design in AutoCAD. This course license includes access to the AutoCAD Certified User & Professional Practice Exams. Work with layouts, viewports, page setups, and annotation scaling for communicating your designs with others.